​The Oregon legislature today funded Oregon’s first statewide elder abuse unit. The full-time prosecutor and two investigators will be housed within the Oregon Department of Justice, and they will work with other prosecutors, law enforcement and community partners throughout the state to improve the prosecution of elder abuse. Oregon is the third state in the nation to have an elder abuse prosecutor of this nature. During the 2016 legislative session, which just concluded, funding for the elder abuse unit was Attorney General Ellen Rosenblum’s highest priority. “I want to thank the legislature for demonstrating its commitment to combatting the unprecedented growth of elder abuse and financial exploitation of Oregon’s seniors. This new elder abuse unit will assist local law enforcement and all 36 district attorneys in Oregon in the investigation and prosecution of these cases. They will develop training materials and best-practice policies that will improve the identification, investigation and prosecution of elder abuse. I am confident that when we look back on this investment, we will see real progress in the fight to protect Oregon’s most vulnerable adults,” said AG Rosenblum. 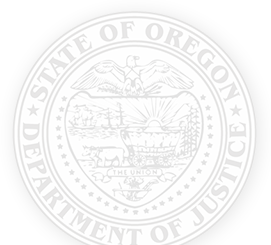 Currently, the Oregon Department of Justice houses two other statewide resource prosecutors for Domestic Violence and DUII. This will be the first resource prosecutor to also include investigative resources.